Just imagine waking up one morning, turning on your computer, type in your blog URL and boom, nothing comes up. You constantly hit the refresh button hoping that it’s just a glitch and that your website will quickly load without fault. But then yet again, nothing happens. So you decide to give your website hosting service a call to see if there’s any disruption on your servers. And what do you know, it’s all good on their part. Then you finally come to a sad and unfortunate conclusion – your blog (or website) crashed. And the worst part about it is that you didn’t back up a single thing. All that hard work and effort and branding and backlink building and SEO have all gone to waste. You have to start from scratch. And worse of all, you probably would feel like throwing in the towel. Now as horrible as this seems, it CAN be avoided with just a single click of a button. That’s right, by backing up your blog every month, or better, every week, you can prevent this horrible disruption in your business. And best of all, it can all be done for free! You see as a blogger or online business owner, your blog (or website) is quite possibly the most important part of your business. It generates leads, brings in revenue, provides value, gives your readers a place to learn and communicate with others, and so much more. If it were to something be wiped away, your business could essentially be non-existent. That’s why it’s SO important to ensure that your blog content and reputation stays in tack. And that’s the very reason why backing up your blog or website has never been more important. Below, I’ll give you an in-depth rundown on how to back up your website, WordPress blog, Tumblr, and Blogger blog. Plus, I’ll even throw in some killer tips to help you safeguard your online business and blog. So let’s jump right into it! 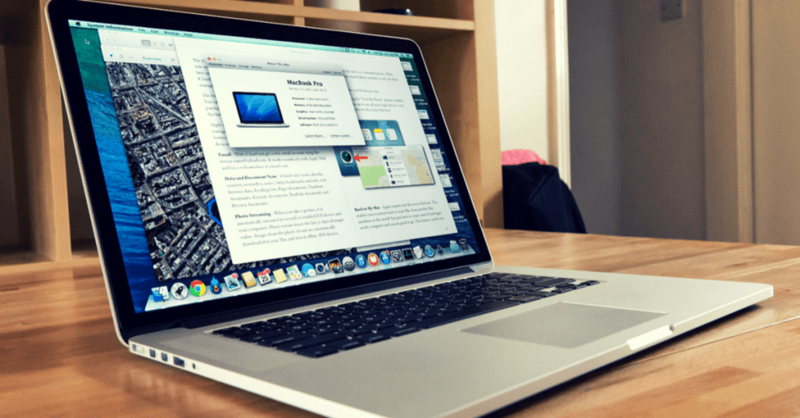 Here’s an in-depth guide on how to back up your blog. Whether if you prefer to do it all manually or prefer to use plugins and services that automatically backs up your website automatically, we’ll show you exactly how to do it. So with that being said, let’s jump straight into the guide. I recommend that you back up your blog at least once a week. But if you happen to publish multiple posts a day, I recommend you back up your site every single day. Doing it every day ensures that you have the latest, greatest, and most up to date version of your website. It may seem tedious but trust me, it will pay off if something does happen to your blog. But don’t worry, there are plenty of plugins and services that will take care of the process for you daily. You’ll learn more about those in the next sections. WordPress is the most popular blogging platform out there and it’s the most versatile. Unlike Blogger, you have greater control over the design and back-end of your blog, which can essentially turn your website into a powerhouse. But with great power, comes great responsibility. Although there are a number of services and plugins out there that will back up your blog’s content and database, there may be times when you want to do it manually. And that’s where these steps come along. 2. On the left, click on “Tools” then click on “Export” from the drop-down menu that appears. Now, this process only covers you the content on your blog. If you’re looking to also back up your plugins, themes, settings, and database, see below. 1. 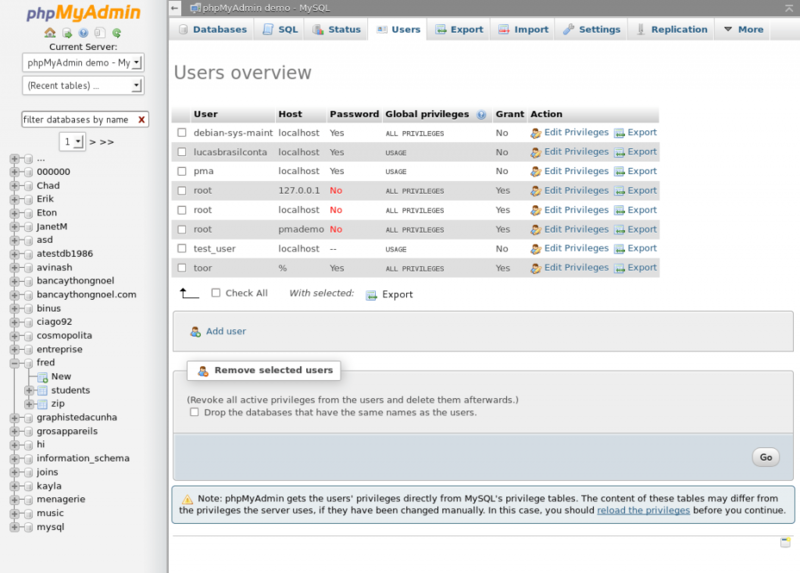 In order to access phpMyAdmin, log in to your web hosts control panel like cPanel. 2. Once you log in, you’ll be taken to a page like this. 3. 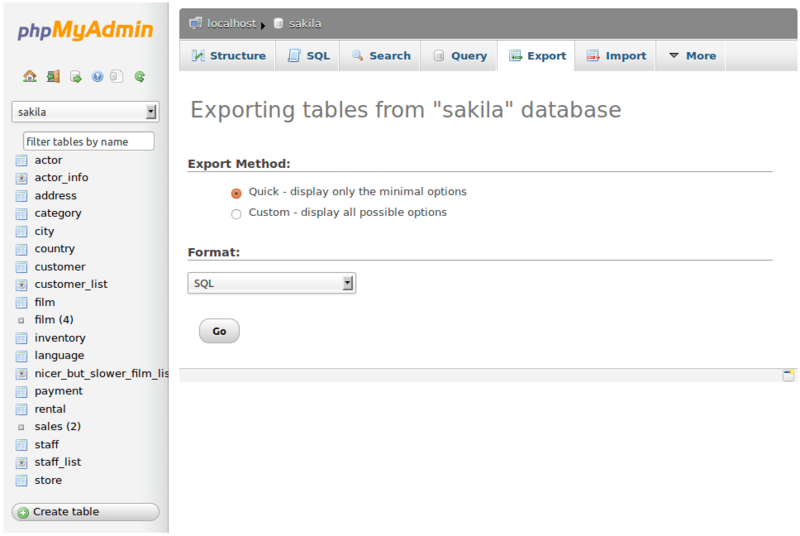 Click “Export” then save the SQL file. Then you’re done. But this is a pretty tricky process and one microscopic change or issue can be disastrous to your database, so tread carefully. 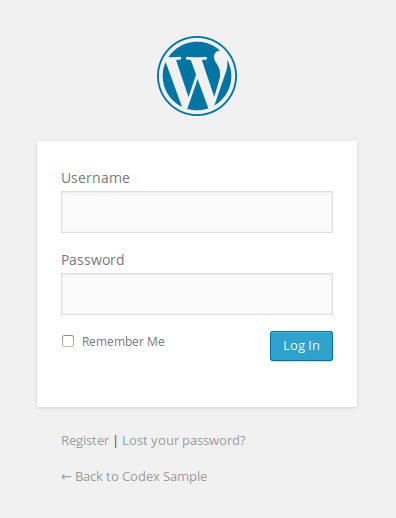 For a truly in-depth article on how to back up WordPress, you must read this. Now if you really want to streamline this backup process, the best option is to go with a plugin or service, which you will learn more about below. Truly the best free plugin out there to help you back up your WordPress site automatically is WordPress Backup to Dropbox. If you have a Dropbox account and a WordPress blog, this free plugin will automatically save your blog (and all its content) to your Dropbox folder. Plus, you can even schedule when you want your site to be backed up automatically as well a select the files that you want to store safely in your Dropbox account. It’s so simple yet so effective. If you’re looking for a free way to back up your WordPress blog, WordPress Backup to Dropbox is your best choice. For a complete listing of our the best free WordPress backup plugins, check out this post. If you’re looking for a killer paid service to help you back up WordPress, then you absolutely must get Vaultpress. Vaultpress is a super simple and cheap way to automatically back up your site’s content, themes, plugins, uploads, and databases. And the best part about it all is that you have the option to have your site backed up by any little change that you make. So literally, your site will be backed up in real time. Also, you have the option for Vaultpress to do daily security scans on your blog, which is an added bonus, especially if you’re worried about hackers. Plus, the best part about Vaultpress is that it’s actually created and run by the same folks who own Wordpress, Automattic. So they perfectly integrate with each other. It’s a match made in Heaven. For a complete listing of our the best-paid Wordpress backup plugins and services, check out this post. Although Blogger is not as popular as WordPress, it’s still a blogging platform that quite a few people use. And the best part about backing up Blogger is the fact that it’s so easy and simple. This is mainly because blogger blogs use HTML while WordPress uses PHP and CSS, making it a lot easier to back up (I know, I was pretty nerdy for a second). 1. Log in to your Blogger dashboard and choose the blog that you want to back up. 5. Download and you’re done! I must say Blogger makes it so simple and easy. As popular as Tumblr is, there is one issue that revolves around the platform – the inability to export your posts, videos, and pictures. 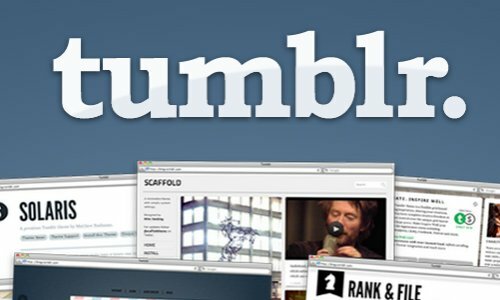 Since there is no built-in method or tool within Tumblr that you can use to export your blog, you will have to manually back up each portion of your Tumblr blog, piece by piece. Thankfully, there’s an in-depth guide that will walk you through this process step by step. Check out this Tumblr back up guide by clicking here. 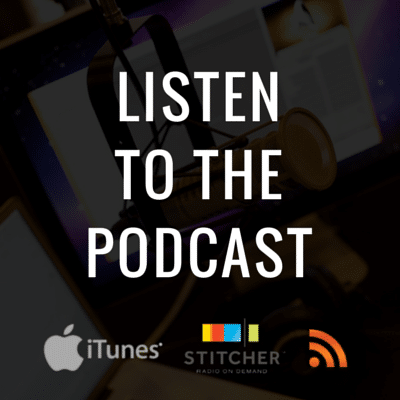 For more surefire tips and information on how to protect and safeguard your online business, be sure to check out our podcast, Safeguarding Your Business.